From ultra short to medium run soft and hard cover binding! New products = New customers = More profit! Professional results at tabletop prices! Faced to low margins, high competition and a growing demand for entirely personalized products, printers need to differentiate themselves by ensuring customized short runs in addition to their more traditional production. 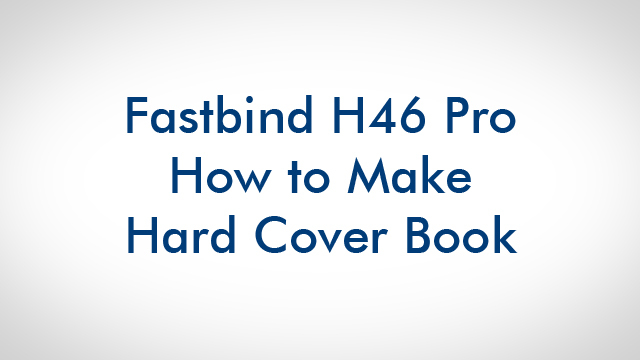 Fastbind offers them a great possibility to make benefits with on-demand bindings, covers and cases with no need for special skills or time taking process. New profitable markets are easily integrated while keeping the control on the quality and meeting deadlines. With Fastbind your digital machinery is brought to its best potential! 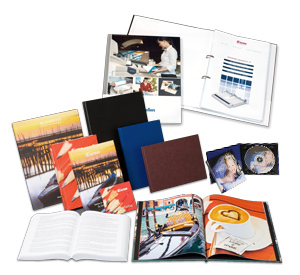 Personalised, custom printed hard cover, made on demand or in small quantities, is no longer a luxury. This added value item is the the fastest growing segment on the binding field. With Fastbind Casematic H46 Pro you produce customized hard covers in minutes - using your design, your printer, your imagination! Fastbind can supply all the consumables for your covers, from tacking paper in sheets or rolls to the grey boards and spines.